Fabolous finally posted a picture of his girl, Emily B. He often uploads pictures that capture him and his kids as a happy family but the rapper hasn't seemed fond of letting people see his boo until now. Fabolous shared two pictures of the couple on Instagram today. The pair is swagged out in matching Gucci outfits for the shots. Emily B. smiles wide and seems generally engaged in the photoset. Fabolous, on the other hand, seems unbothered and disinterested. This, along with other remarks, was noted by some of his followers in the comments section. 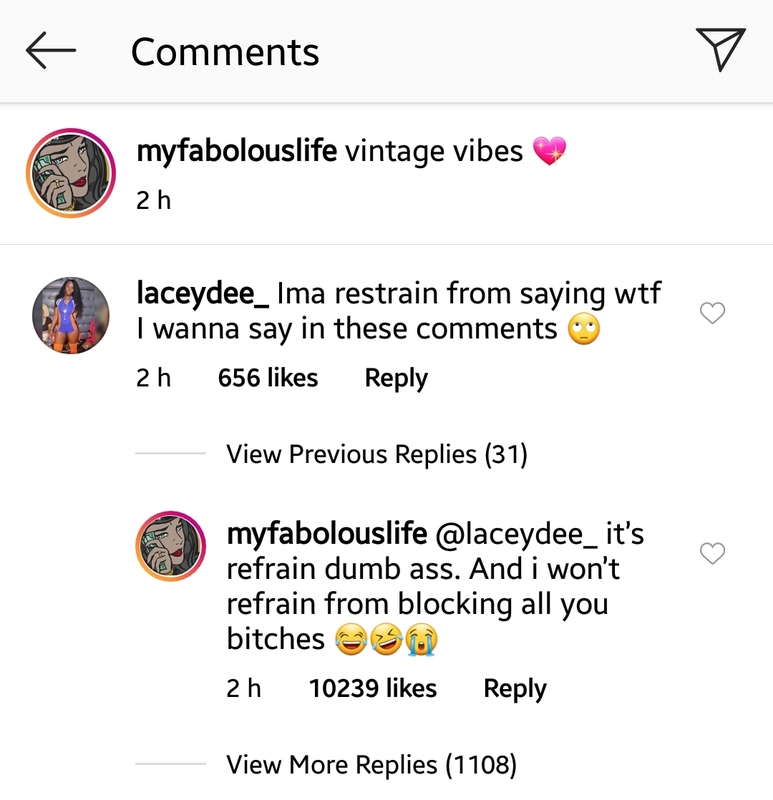 One Instagram user, however, posted the type of feedback Fabolous ain't with: "Ima restrain myself from saying wtf I wanna say in these comments." Fabolous had time to come back with the quickness. His response took a shot at the commenter's grammar while also reminding everyone of the fact that they are lurking on HIS post: "it's refrain dumbass. And i won't refrain from blocking all you b*tches." What the first comment refers to isn't 100% confirmed, but it's likely about the tumultuous nature of the couple's relationship. Earlier this year, they were caught up in a domestic violence situation that resulted in the rapper's arrest for assault. Although no jail time was served for his original charge, the damage was done. Emily B even had to get her teeth fixed after the violence. No wonder people have mixed feelings about her smiling beside him.